McClintock, but of the common classes, at the age of 22, entered the Royal Navy; his promotion, due to the times, was slow. His naval duties brought him to South America, West Indies and in "eastern Canadian waters." He, finally, made lieutenant in 1845. After that he was off to the Pacific. He returned to England in 1847. 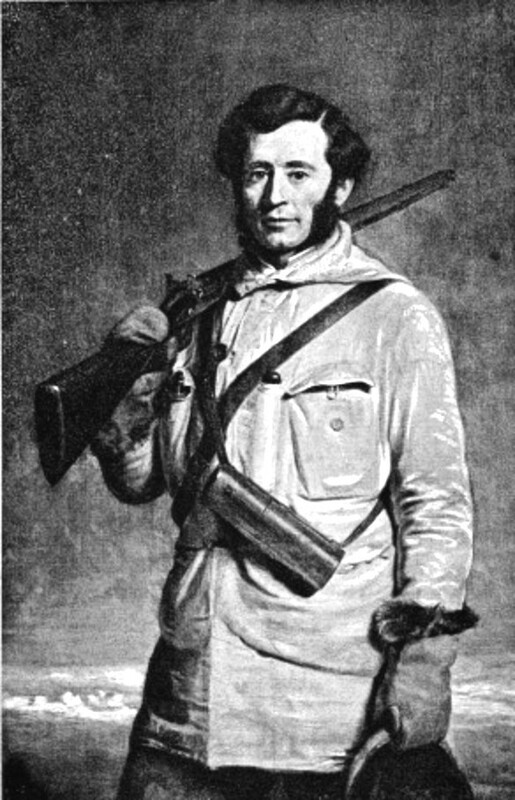 In 1848, he was made second lieutenant on the Enterprise, in James Clark Ross抯 expedition to find Franklin. 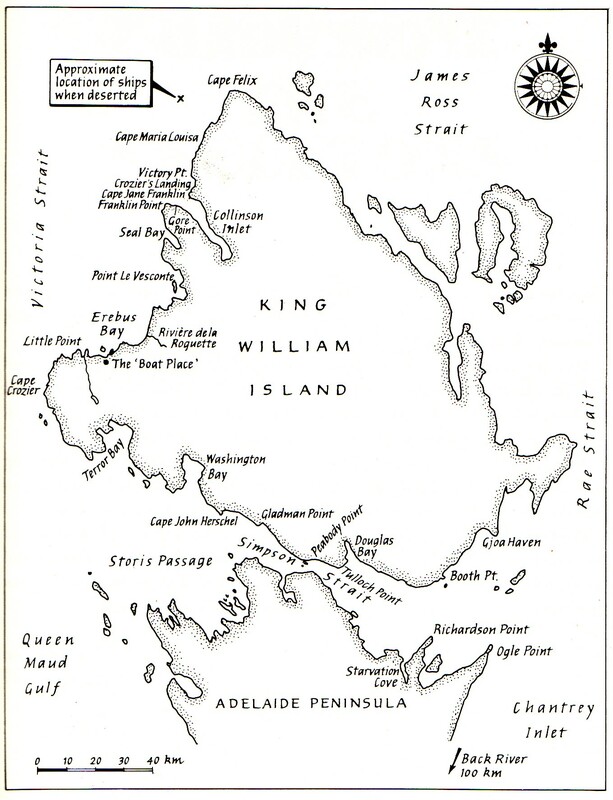 This expedition spent the winter of 1848/9 at Port Leopold on Somerset Island. (See Map.) In the spring "four sledge parties looked for Franklin. Ross and McClintock made the longest and most successful journey, between 15 May and 23 June, when they sledged along the north coast of Somerset Island and then down its west side, which had not yet been explored by Europeans. They found no trace of Franklin, but mapped about 150 nautical miles of shoreline." McClintock learned much! Including, how to carry out long distance travel over the ice, tricks learned from the natives, the Inuit. In 1850, McClintock was with Austin as First Lieutenant, in Austin's search for Franklin. Upon his return to England in 1851, McClintock was made a commander. In 1852, McClintock, once again, was back in the Canadian north. This time he was in command of HMS Intrepid one of a larger fleet under Belcher, whose (mis)adventures might be read at Belcher's short biographical sketch.